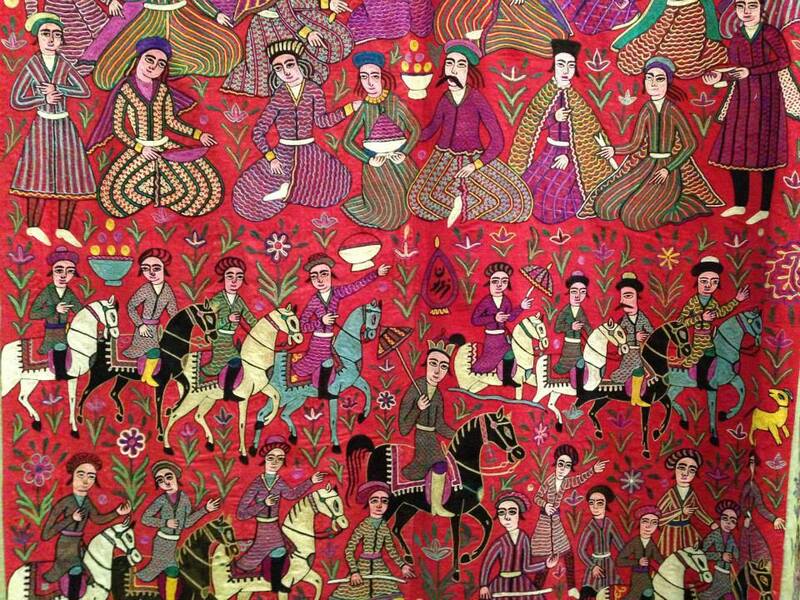 SSN Islamic Art and Material Culture has just launched the third and final year of its Specialist Support Scheme. 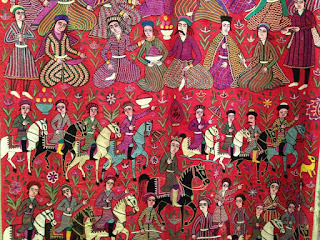 This is open to any museum in the UK that has an Islamic Art and Material Culture collection. The specialist support scheme aims to provide regional museums with a toolkit to help them unlock the potential of their collections of Islamic Art & Material Culture (IAMC) and use them to engage with new and diverse audiences. This is the final year of this scheme under current funding and so we would encourage all interested parties to apply, including those who have not been successful in previous rounds. The Art Fund are pleased to be partnering once again with Whitechapel Gallery to offer a series of professional development courses for curators and museum professionals this autumn. This series is targeted at both early-career and more experienced curators, whether new to the topic or wishing to refresh and expand their existing knowledge. These hands-on courses will draw on the expertise of staff from across Whitechapel Gallery, as well as other industry leaders. Each course will focus on practical training and use current projects as case studies, allowing attendees to gain valuable guidance and insight from behind the scenes. Places normally cost £195, but curators and museum professionals are invited to apply for one of 34 funded places offered by the Art Fund. This year's event is packed with content - including three fantastic themes on Audiences, Collections and Workforce. Delegates will have the opportunity to debate and discuss big ideas with colleagues from around the UK and internationally. Keynote speakers include Lemn Sissay, writer and broadcaster, Francesca Martinez, comedian and writer, Jeremy Deller, TurnerPrize-winning artist and Jenny Waldman, director, 14-18 NOW. There are a host of other sessions, practical workshops and training - all developed to facilitate fresh thinking. The social events give you the opportunity to see The Whitworth Art Gallery, Museum of Science andIndustry and network at People's History Museum. Early bird booking ends on 16 August 2017. Salary £28,413 p.a. plus £5,000 housing allowance p.a. Applications are invited for a three year Sackler Research Fellowship on the history of Conservation at the Ashmolean Museum, in association with Worcester College, Oxford. Based in the Ashmolean's Conservation Department in Oxford, the postholder will research the preservation history of the museum. As the country’s oldest public museum, founded in 1683, the Ashmolean is in an exceptional position to follow the history of conservation and restoration. The department holds formal conservation records from cards and notebooks that date back to the middle of the last century along with other sources. The research will concentrate on a history of conservation and restoration through the records and practices, collections and staff, building on existing work carried out in the department and on display in the Restoring the Past Gallery. The successful candidate will have a proven ability to carry out research in an area related to the history of collections or conservation, a relevant post-graduate degree, either completed or due to be completed by October 2017, and a genuine interest in learning about conservation ethics and preservation methodologies. There may be opportunities for candidates with a suitable qualification in conservation to maintain practical skills during their tenure if they wish, so long as this enhances the research focus of the Sackler Research Fellowship. What is the role of the curator in bringing the archive to life? How do archives and film festivals perform as sites of memory and commemoration? Can festivals act as archives? How do we best access archives if the materiality of film is under threat? What has the digital revolution contributed to the preservation of cinema? What is the role of the archivist in curating retrospectives? How do history and the present enact the discourse between contemporary films and archival footage? How do films, archives and the cinema as a public space interact with the present and the future, and what is the archive’s role in preservation and access? Please send 250-word abstracts and 100-word biographies (including relevant publications) to the conference organisers Dr. Lizelle Bisschoff at and Dr. Stefanie Van de Peer by 31 August 2017. Delegates will be notified of their acceptance by 15 September. We regret we have no funding available for travel or accommodation but delegates will have the opportunity to attend film screenings of restored African Classics at the Africa in Motion film festival (27/10 – 5/11) in Glasgow and/or Edinburgh, and visit the accompanying exhibition. The Moving Image Archive is Scotland's national collection of moving image located at Kelvin Hall in Glasgow. More than 2,000 digitised films are online in the Moving Image Archive catalogue, and a further archive of over 60,000 films about Scotland is being preserved at Kelvin Hall. These archives are accessible by booking an appointment with the manager of the Archive, please see online for more details. This workshop is part of the AHRC/Labex funded Project, Universal Histories and Universal Museums: a transnational comparison. The workshop will focus on selected case studies to analyse methodological issues relating to universal histories and universal museums. The evolution of the museum will be discussed in relation to the impact of temporary exhibitions and the circulation of knowledge in the public sphere, including the 1876 Loan Collection of Scientific Apparatus at the South Kensington Museum and the creation of the Musée d'Ethnographie du Trocadéro. The 1876 Loan Exhibition is a temporary exhibition which took place in 1876 at the South Kensington Museum and was one of the founding displays which led to the creation of the Science Museum. This exhibition offers a case study for the ways in which temporary displays have a permanent legacy in national and international museum collections, and how far the interpretation and presentation of materials was transformed in this process. The Musée d'Ethnographie du Trocadéro opened in 1882 following the 1878 International Exhibition, for which the Trocadéro palace had been built. Though many studies have focused on the successive transformations of this museum in the Musée de l’Homme and, successively, the Musée du Quai Branly and the MUCEM, the first assemblage and display of these ethnographic collections is less well known. Drawing on the place given to the arts, the regions, and different themes in universal exhibitions in Paris, and particularly in the 1878 exhibition, the discussion of the Musée d'Ethnographie will cast new light on the motivations and relationships of collectors, learned societies, politicians, and publics in informing the creation of this museum. The workshop will bring together researchers from ethnography, history of science, and museum history, to explore the evolution of museums, mainly – but not only – in France and the UK. The workshop will also reflect on object agencies through a session with the objects studied in the Universal Histories and Universal Museums project. For the full programme and to registrar.